Over the past few years, the sports media world has seen an explosion of rights deals between leagues and digital companies. But in most prominent cases, those rights have been either non-exclusive or highly limited. Thursday Night Football has aired on Twitter and Amazon, in addition to on broadcast networks. MLB games have appeared on Facebook in addition to on local linear television. College sports events have been streamed on Stadium, but only in relatively small numbers. That makes what several MLS teams are doing somewhat groundbreaking. In a feature about the league’s broadcast rights strategy published Monday, Sports Business Journal’s John Ourand outlined how MLS has taken advantage of streaming services’ desire for exposure and cheap content. 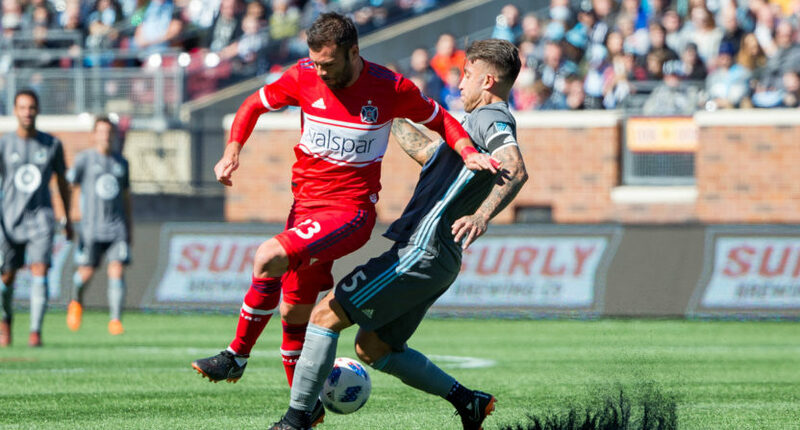 Four MLS teams currently have digital-only rights deals, after LAFC and the Chicago Fire recently reached agreements with YouTube TV and ESPN Plus, respectively. While YouTube and ESPN executives view these deals more as marketing and sponsorship opportunities, MLS executives see them as the future of sports media where digital players coexist with traditional linear TV outlets. Per Ourand, LAFC’s deal with YouTube TV started with discussions about a jersey sponsorship deal. Then team executives, who had struggled finding a local broadcast partner, suggested adding media rights. YouTube TV figured it could extend its attachment to the team while scoring some original content, and a three-year deal got done. Weeks later, the Fire reached a three-year agreement with the brand-new ESPN Plus, joining LAFC, the Seattle Sounders (YouTube TV), and Real Salt Lake (KSL) as teams with local streaming partnerships. Ourand reports that a fifth MLS team is expected to announce a digital-rights deal in the next few weeks, making this a veritable trend in MLS. Across sports, executives will surely to watching carefully to see how MLS audiences react to the new streaming deals. If the partnerships go smoothly, it’s easy to imagine similar arrangements spreading to other sports. For now, that might mean a Triple-A baseball teams or mid-major basketball conferences, but down the road, could an MLB or NHL team sell its local rights digitally? You never know.